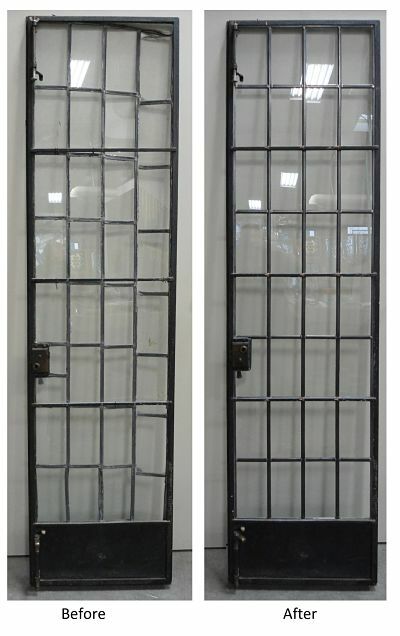 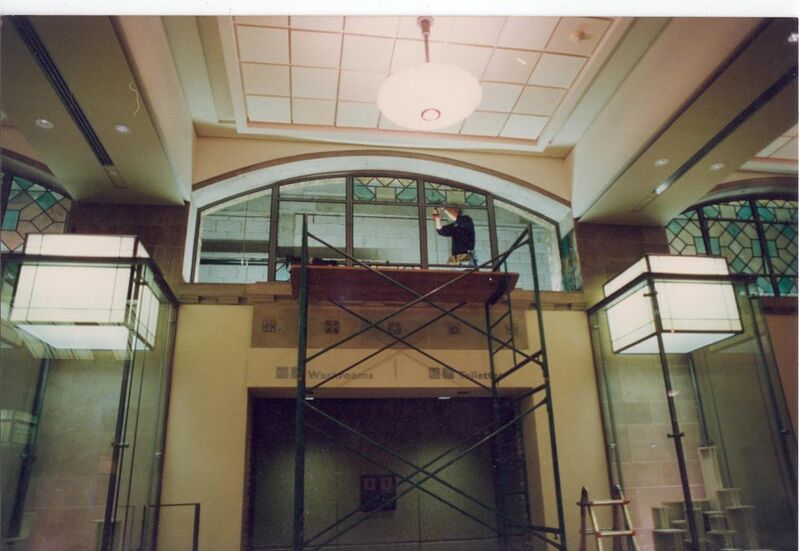 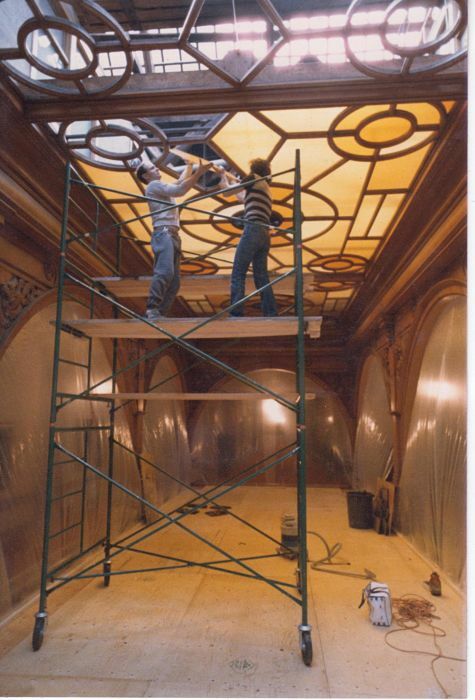 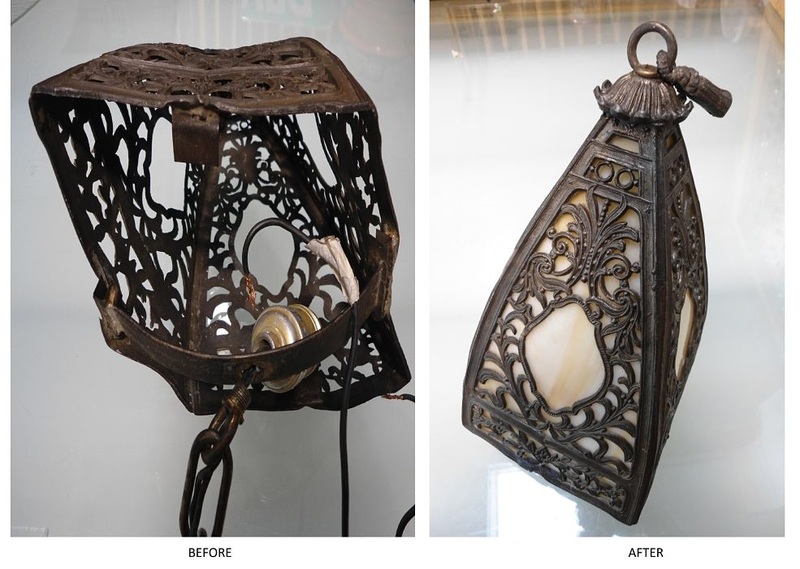 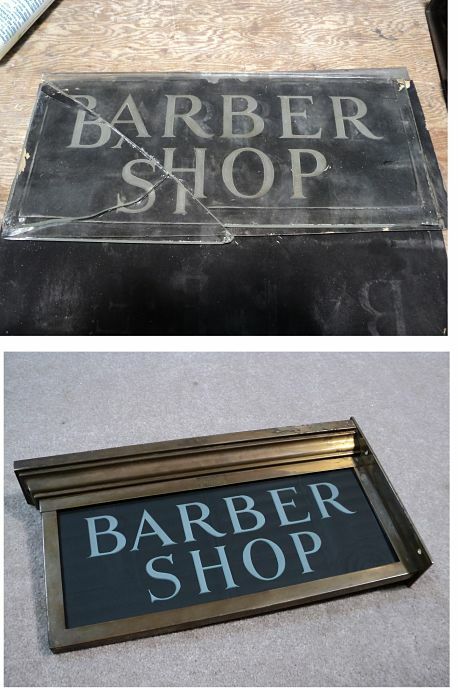 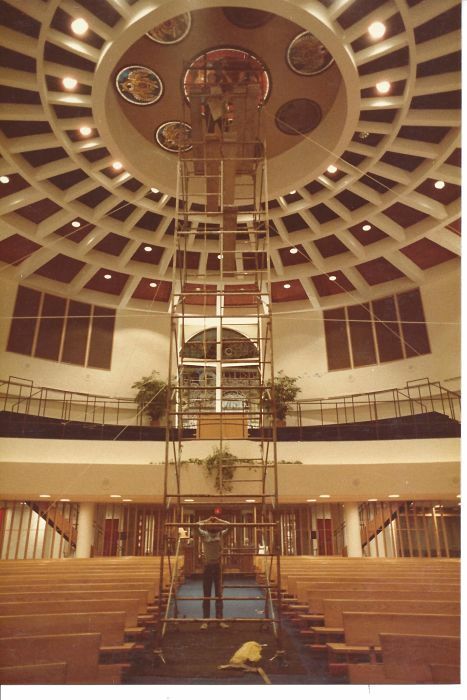 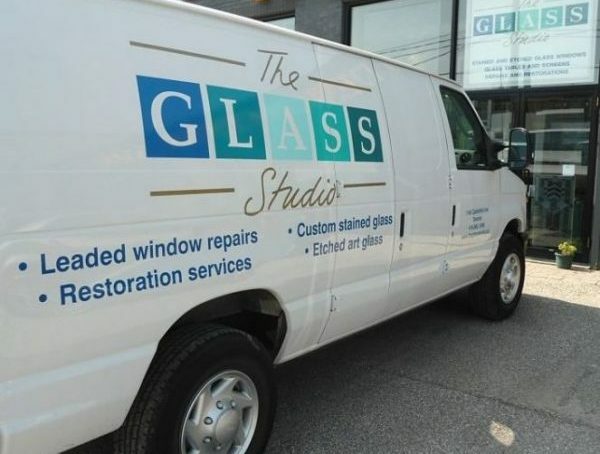 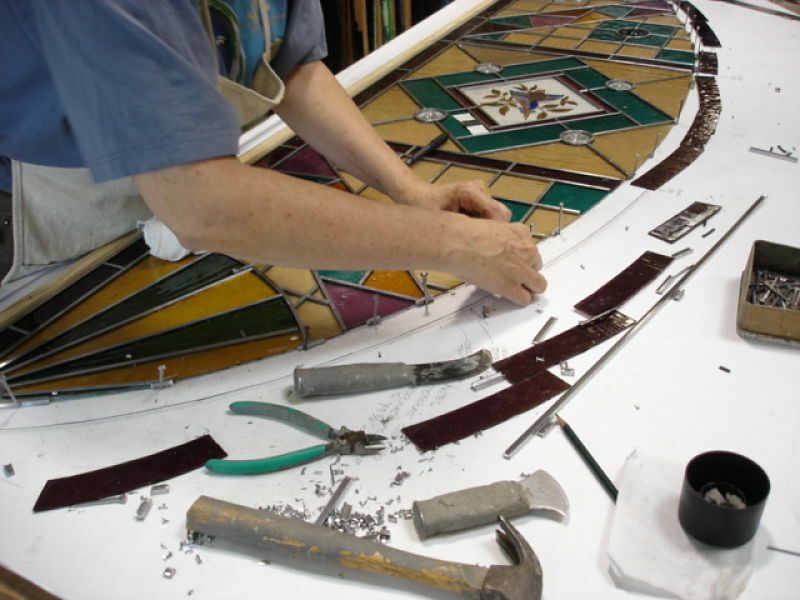 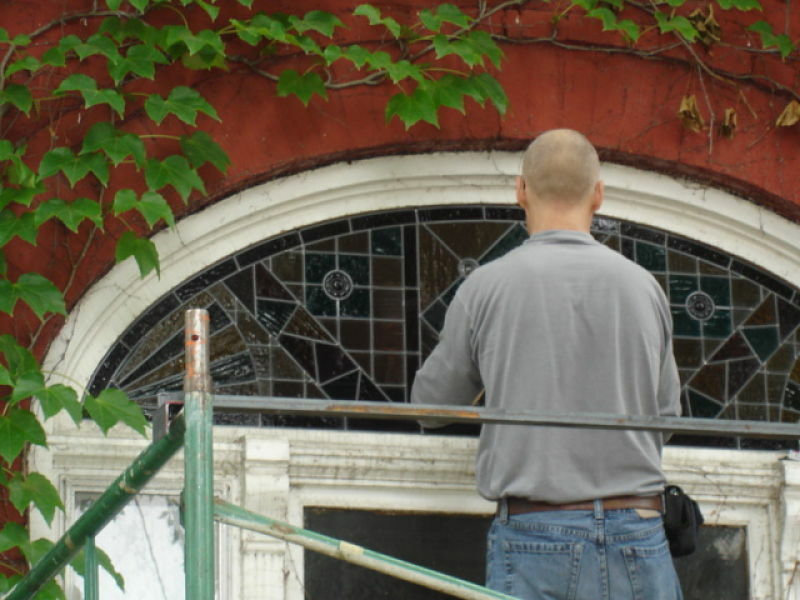 The Glass Studio provides a full range of repair and restoration services. 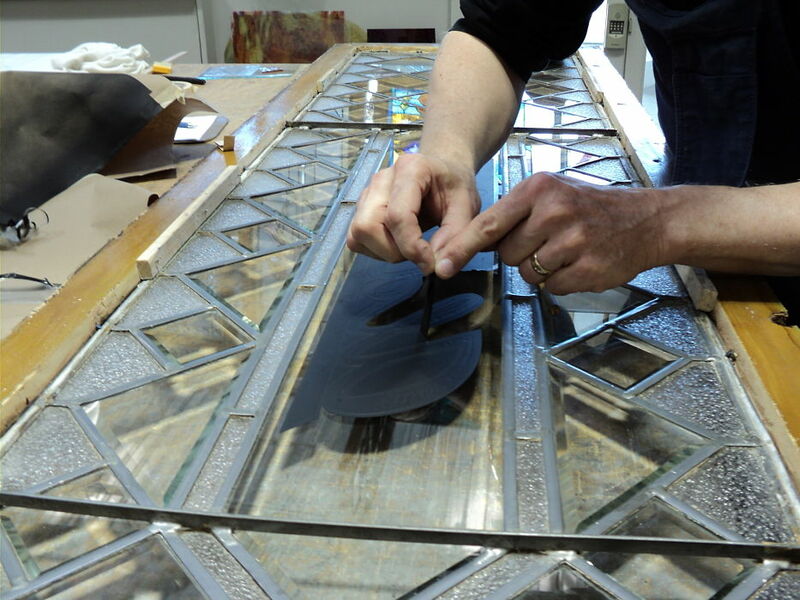 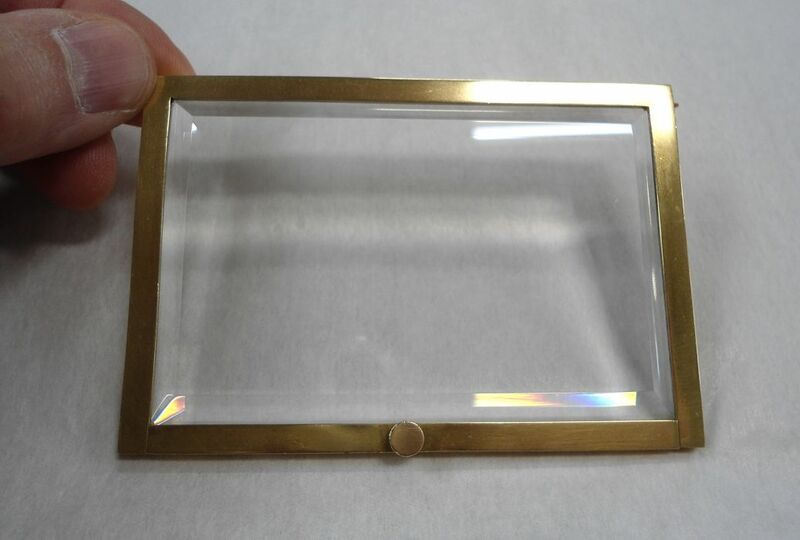 repairs to glass objects - we like challenges, try us! 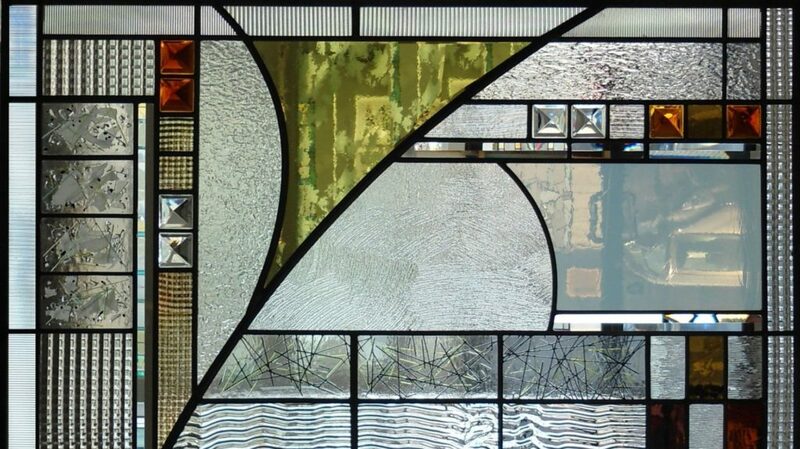 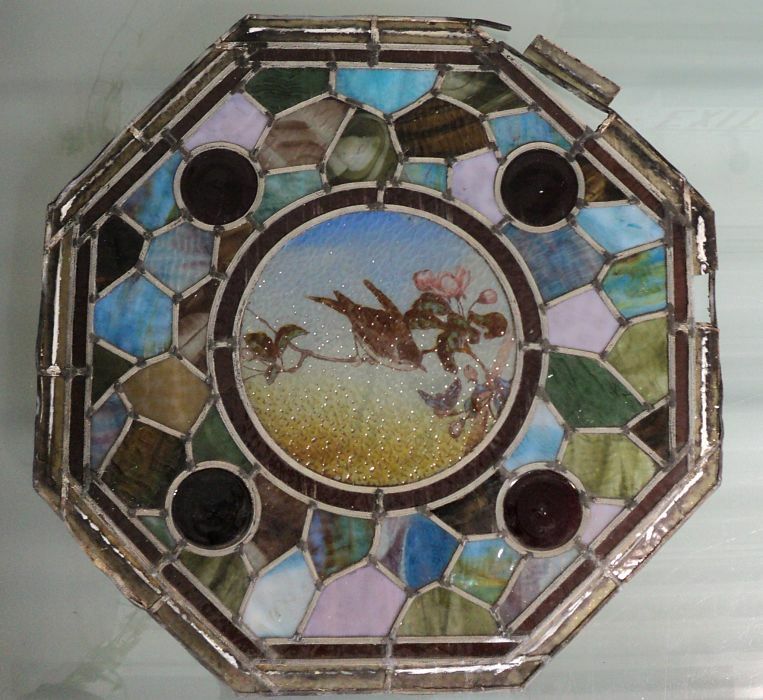 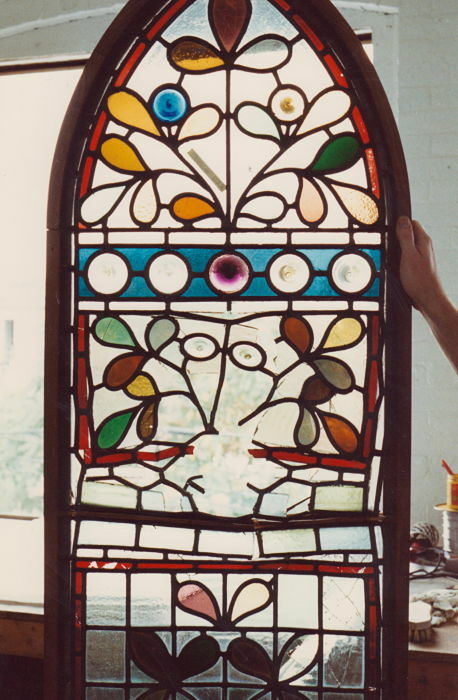 TheGlassStudio Image 301 - Victorian stained glass window before restoration. 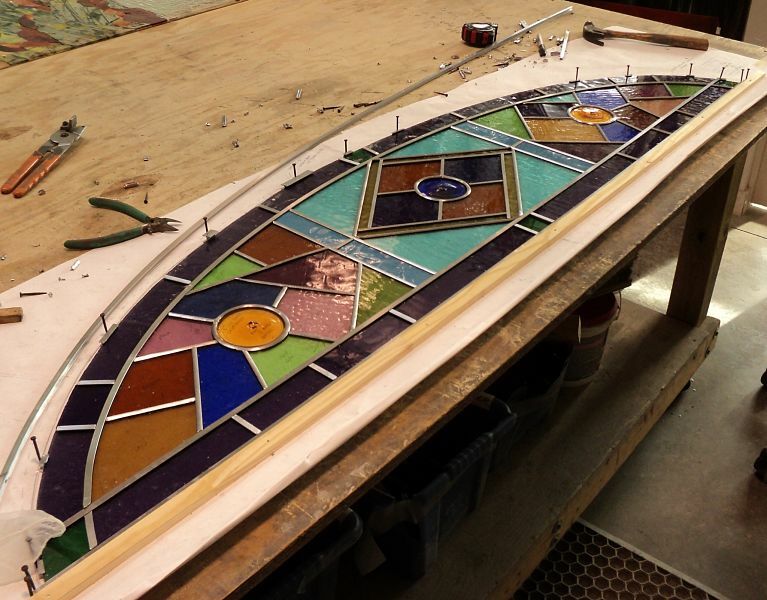 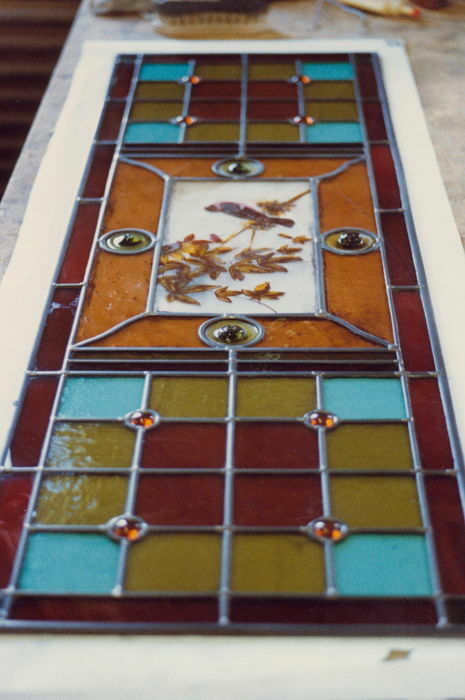 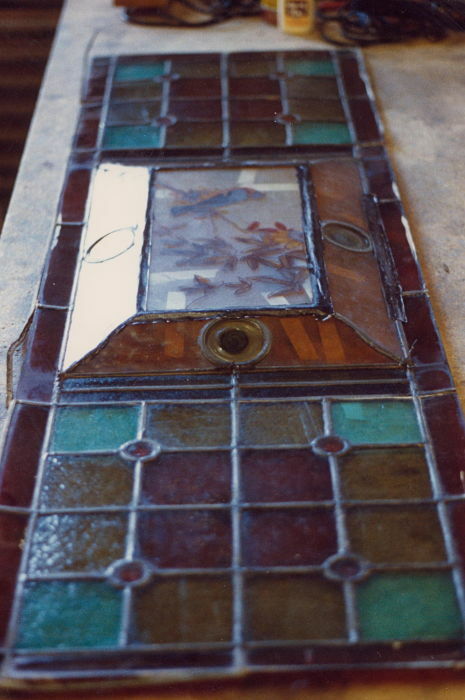 TheGlassStudio Image 94 - Stained glass transom window before restoration. 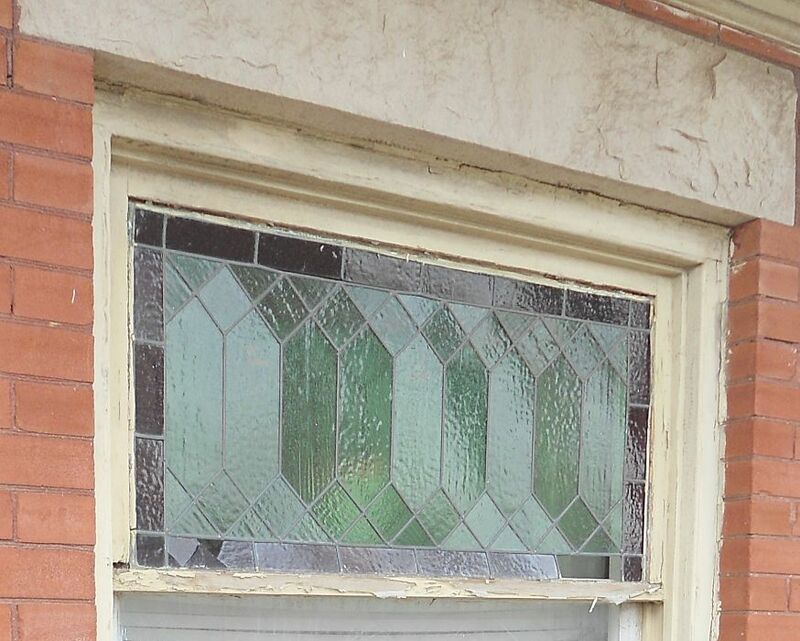 Buckled, glass broken, falling apart. 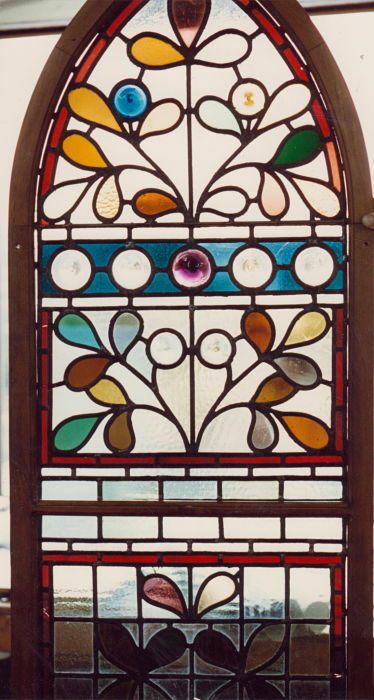 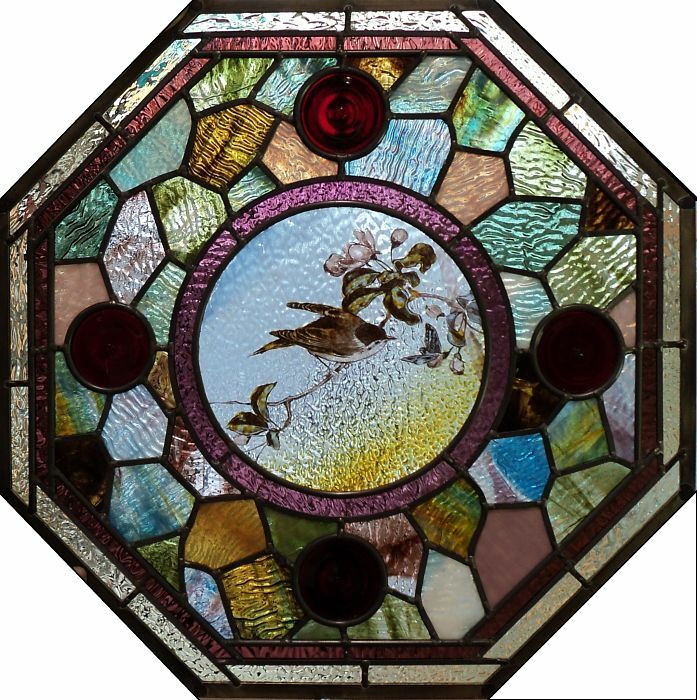 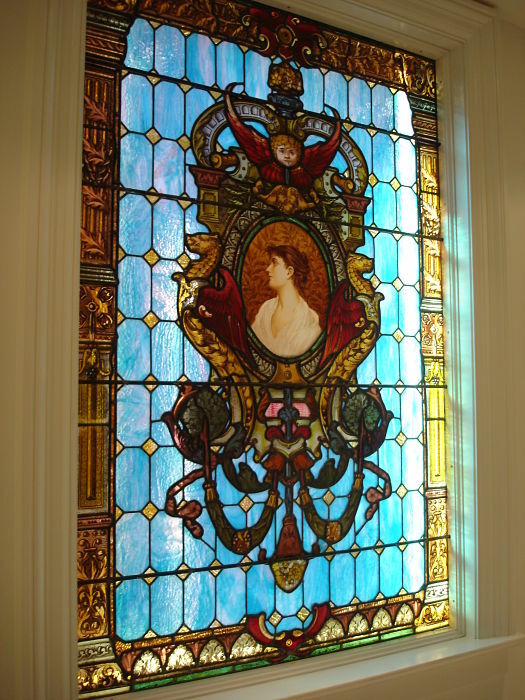 TheGlassStudio Image 95 - Stained glass transom window after restoration. 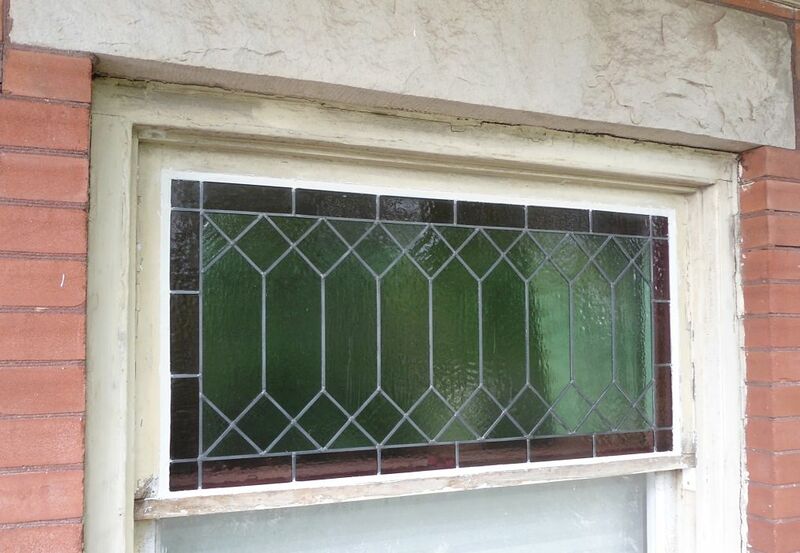 Cleaned, new lead, new sash putty. 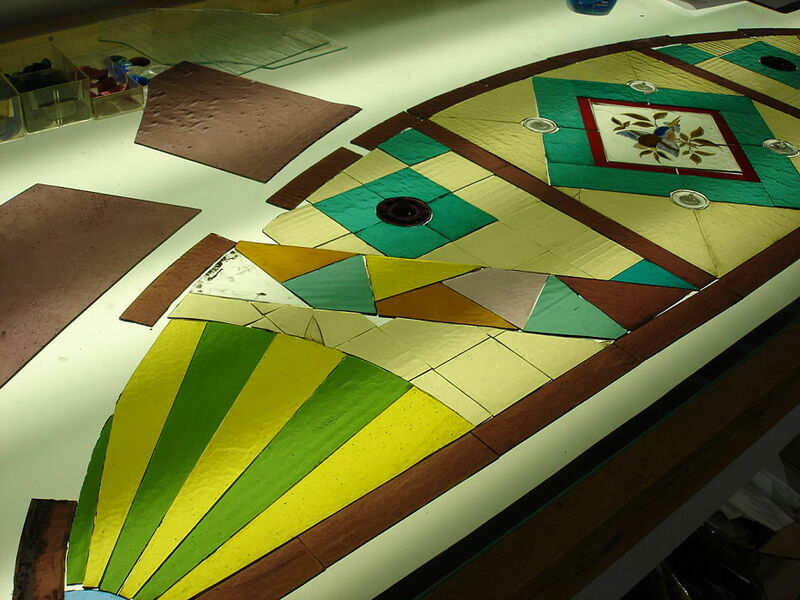 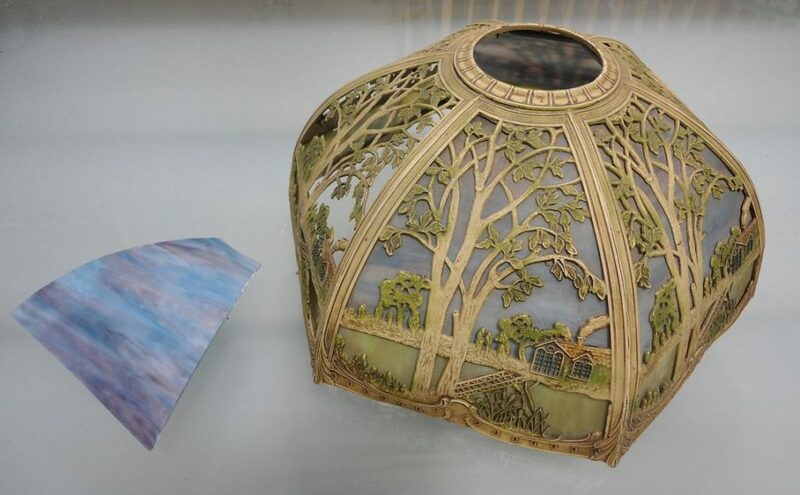 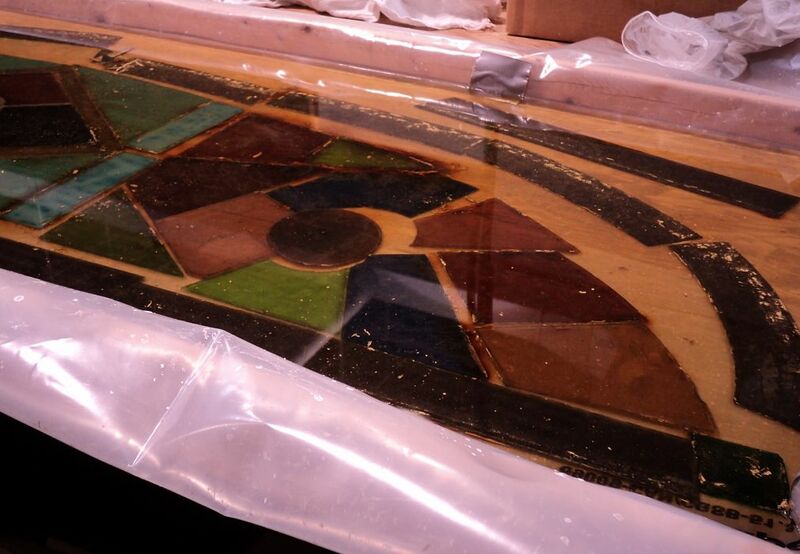 TheGlassStudio Image 94 - Victorian-era stained glass before restoration. 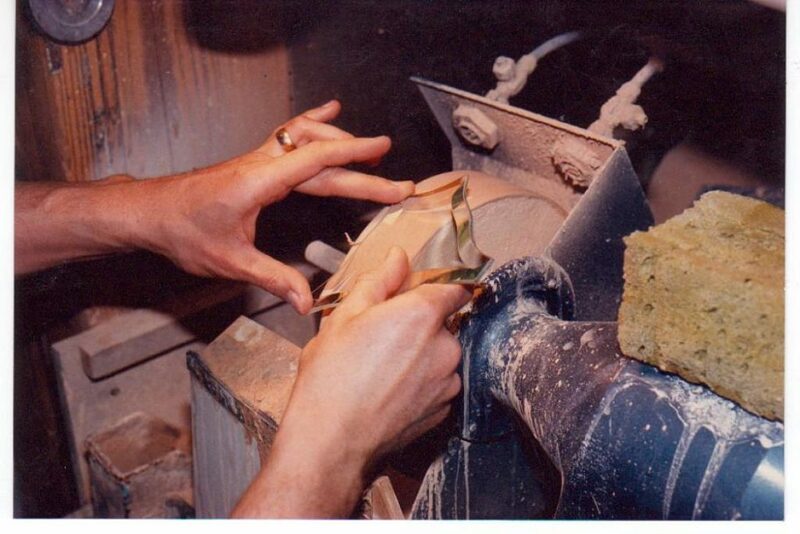 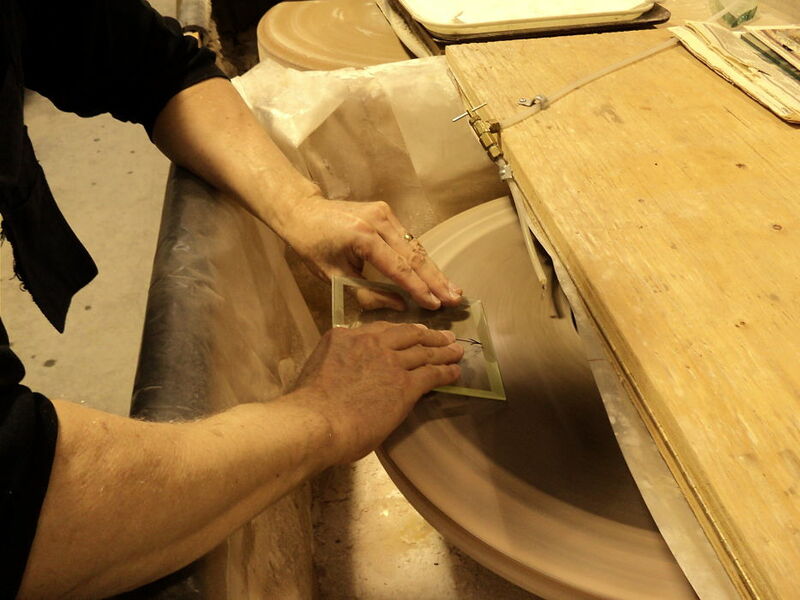 TheGlassStudio Image 168 - polishing a custom bevel with cerium oxide on the felt wheel.